WhatsApp is currently owned by Facebook. Brian Acton left the company last year to invest in Signal, a WhatsApp competitor which offers end-to-end encrypted messaging. Facebook’s chips are falling. WhatsApp Messenger, with its 1.5 billion monthly active users, was acquired by Facebook back in 2014 at a whopping $16 billion. The deal was a marquee payday for WhatsApp Co-founders Brian Acton and Jan Koum and also went down as one of the biggest in tech history at the time. After quitting WhatsApp late last year and investing in Signal, an encrypted messaging app, Acton now wants you to delete Facebook, the parent company of WhatsApp. Facebook’s latest privacy scandal is blowing up in its face big time. Users all over the world have taken to competing social media platforms to sever ties with the largest social network in the world - Facebook. Acton has also joined the mass movement and tweeted just one sentence yesterday - “It’s time. 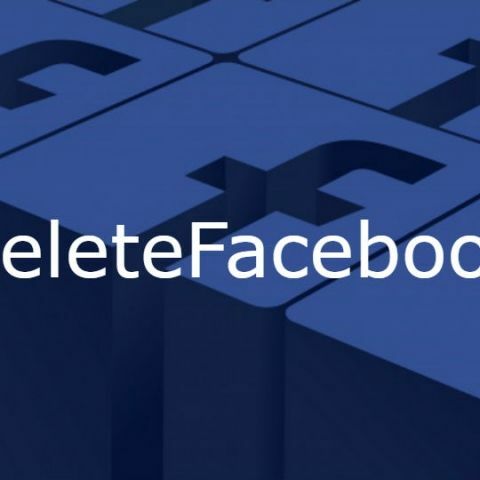 #DeleteFacebook”. Acton, who invested $50 Million in Signal and its offshoot non-profit, Signal Foundation, showed support for the #DeleteFacebook movement on Twitter in what seems to be a direct response to the scrutiny Facebook currently faces on the internet. The social media network failed to disclose, or even curb, a user data breach that happened in 2014, until it surfaced again in an expose by The New York Times and The Observer. Private Facebook data of over $50 million users was obtained by an app developer through a Facebook app, and later sold to data mining firms that used it to target election ads at users in America. Since the reveal, Facebook has refused to acknowledge the issue as a data breach and has defended itself by blaming the developer and data collection companies for violating its privacy policies. However, the bigger question netizens are asking is if Facebook is using their information to influence their choices. Facebook’s slack user privacy regulations are also of concern to users who feel they have given away too much of their private information to the social media giant which has treated that data as a commodity. Facebook or WhatsApp have not officially commented on Acton’s Tweet.